It is extremely easy to get caught up in bad habits and end up spending a ton of money on unnecessary things. I’ve done it, you’ve done it, we all do it. In efforts to save money and pay off debt this year, I decided it is time to look at my finances and cut out the unnecessary spending. The first thing I did was open a spreadsheet and run through my bank statements from the last few months. I wrote out everything I spent money on and highlighted each category (fast food, shopping, entertainment, etc.). Then at the end, I added up how much extra money I was spending in each category. WOW. I was so surprised. I always thought I was super frugal, but Chick Fil A drive-thru and going to the movies really adds up quickly. Breaking down where my money was going each month really helped put things into perspective which made it so much easier for me to focus on saving the money instead of spending it. With just a few lifestyle tweaks, you can reach major savings goals this year. All it takes is cutting out the non-essentials. And once you realize how much you are actually spending on these things, cutting them out will be EASY. That is $1,040 per year! If you are a couple and you both stop for coffee in the mornings… that really really adds up. A cup of coffee brewed at home is probably less than .20 cents. If you really can’t stand drinking regular coffee and you purchase something like the Ninja Coffee Bar to brew fancy coffee at home you are still saving an incredible amount of money since the coffee bar costs less than $200. If you eat out for lunch 3 days per week at $6 a meal, that equals almost $1,000 per year… and $6 is a conservative price for fast food meals! Packing your lunch at home is not only healthier, but it will also save you SO much money. Not to mention, eating out for dinner! If you and your spouse (or family) regularly eat out for dinner instead of cooking you are probably spending A TON of money. USA Today reports that the average monthly price of a cable TV package is $100 per month. I calculated this at $80 per month just to be conservative and it comes out to almost $1,000 per year. There is no need to spend that much on cable TV when we have so many other options these days like Amazon Prime Video, Netflix, Hulu, etc. Amazon even allows you to add on channels like HBO or Showtime so that you are only really paying for the channels you use. Try Amazon Prime free for 30 days here. Groupon conducted a survey to find out how much women spend on their personal appearance per month and the results were an astounding $313 per month! This includes things like hair and nail appointments, makeup, skincare, etc. By cutting out those professional services and doing it yourself or maybe ditching the hair dye for your natural color you can save a vacation’s worth of money each year. Tanning memberships, nail appointments, facials, etc. are all things that we can do without while we are trying to save money! Fitness memberships are HUGE right now. Between your average gym membership costs and specialty gym memberships like OrangeTheory or SoulCycle, you can save a huge amount of money by canceling these. Not that there is anything wrong with investing money into your health and well being, but if you are trying to save a large amount of money, consider canceling these memberships and working out at home. There are TONS of free workout resources on Youtube and Pinterest that you can use at home! Buying books – check books out from the library! You can also read free books with your Amazon Prime membership or check with your library and see if they use a service like Libby where you can read books for free on your phone. Music – listen to music for free with a Pandora, Spotify, or YouTube account. Clothing – instead of buying new clothing you can shop on Poshmark, ThreadUp, or at thrift stores for gently used clothes. Water Bottles – use a reusable water bottle and stop buying plastic ones! If you cut out all of these things and are super committed, it should be relatively easy for you to save $5,000 in 52 weeks. Think of everything you could do with $5,000! Pay off debt, save it, go on vacation! If you want to join a 52 week savings plan, here is one you can follow. This plan will give you $5,000 in savings at the end of 52 weeks! 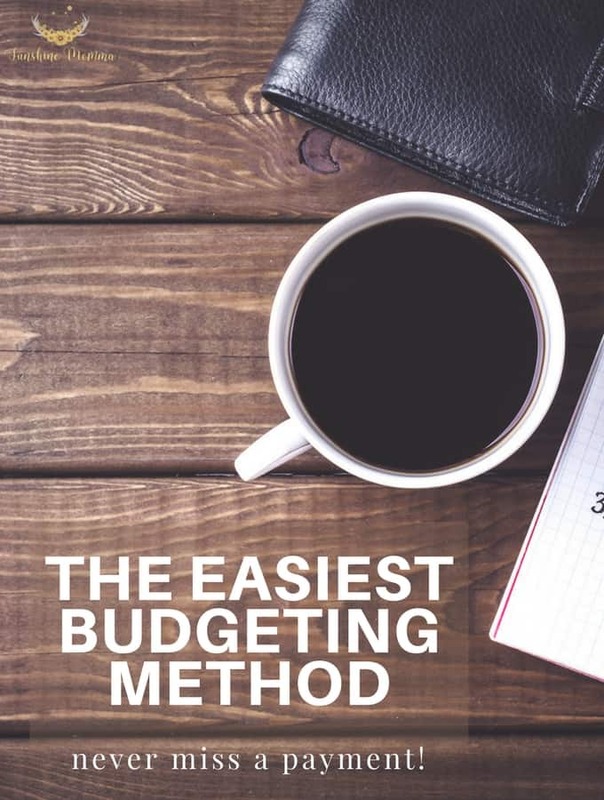 There are many different budgeting/savings methods out there for your entire paychecks, but this method specifically focuses on how to budget bills. We use this method every week when my fiance gets his paychecks so that we ensure that we always have the money to cover our bills. It is SO simple and easy to do that no matter what your income is, you can do it too. The first thing I did was look up our bill history for fluctuating bills like the electric bill and write down the highest bill price. Then I wrote down our other bills that do not change month to month like the cable bill. After you have your highest possible monthly total you divide the total by the number of checks you get per month. So if you get paid every Friday, you would divide $1435.00 by 4. With these numbers that gives you $358.75. That means that out of each check you would need to save $358.75 in order to pay all of your bills for the month. If you do this each check and set it aside no matter what, you will always have enough money to cover your bills each month. We have a separate account that is bill money only and that account doesn’t get touched for anything other than bills. If you want to be extra safe you can round your weekly savings number up so that if one of your bills has a high month you have extra money to cover that. We have been doing this for years now and have never once not had the money for one of our bills. This method really works and it is extremely simple to follow! At some point in life I think we all look to make extra money. With dedication, these ideas can help you double your income from home. How it works: What Ebates does is give you free money for shopping at stores that you already shop at. All that is required of you is to shop online at your favorite stores through the links on the Ebates website. It is super easy to use and takes minimal time on your part. When you sign up here you’ll get a FREE $10 Walmart gift card after your first purchase through the site. Use the search term “your city” buy sell trade or “your city” garage sale on Facebook to find groups in your area that are used to sell items (example: “Dallas buy, sell, trade” or “Dallas garage sale”). To become an Uber driver you must pass requirements and pass a background check, but after you are accepted you can set your own schedule and make extra money whenever you want. The funds are applied directly to your bank account whenever you want to be paid. To become a Lyft driver you must past similar requirements as Uber and you can also set your own schedule. Using Lyft’s online calculator, if you drive for 10 hours in the Dallas/Ft. Worth area you can earn up to $200 per week! If you’ve never used Lyft before and you want to try it out, use my referral link and receive $50 of Lyft credits! Poshmark is an app you can use to buy and sell fashion. All you do is take photos of your clothing, upload them, and start selling! They handle all of the transactions and hold the money until the buyer receives the product to ensure a safe sale. Once you sell the item, Poshmark will send you a shipping label to place on the package before you send it to the buyer. There are many companies on the internet that will pay people to write articles to publish on their sites. I have written freelance articles for $100 a piece before. The best place I know of to find freelance writing work like this is on the “jobs” section of the ProBlogger website. This is a place where these companies can list their job postings and you can go apply for them. You can also just take a chance and reach out to different bloggers with previous examples of your written work and see if they are looking for freelance writers to contribute to their sites. Making money blogging takes a lot of work, but you can do it! One of the best perks about starting a blog to make money is that it is very inexpensive to start up. So you don’t have to spend a lot of money on the business before you make any! I know bloggers who make a little side money doing it and I know bloggers who have quit their jobs and retired their husbands because of the income that they have earned. Care.com is a website where people looking for baby sitters, pet sitters, or house sitters can post their jobs and have people apply for them. If you are good at what you do and have experience, you are likely to get hired on for one of these jobs. In my experience they pay really well! Sometimes people are just looking for someone to take their kids to practice after school or looking for someone to feed their dogs while they are out of town. There are also more extensive babysitting jobs or occasional date night babysitting jobs. Do you have a special skill that you can offer the internet world? On Fiverr.com people can hire you to do tasks for their business. I hired someone from this site to create my logo and I have also hired someone to create a printable pdf for me. Some of the job postings are for design work and some are for computer work (like data entry), or web design and coding! There are a TON more things that you can offer to do on this site so be sure to check it out. That is only an example. The work can vary pretty greatly. If you want to learn more about becoming a virtual assistant and you have a little money to spend on education, I highly recommend checking out my friend Cynthia and Chrissy’s new course on becoming a virtual assistant! It contains all of the information that you need to know in order to make a full time income from being a virtual assistant. If you are a crafty person one of the easiest ways you can earn money doing what you love is by selling your creations on Etsy. I am not a crafty person so I have ever sold anything on the site, but I have friends who do sell on Etsy and have created a full time income from it! 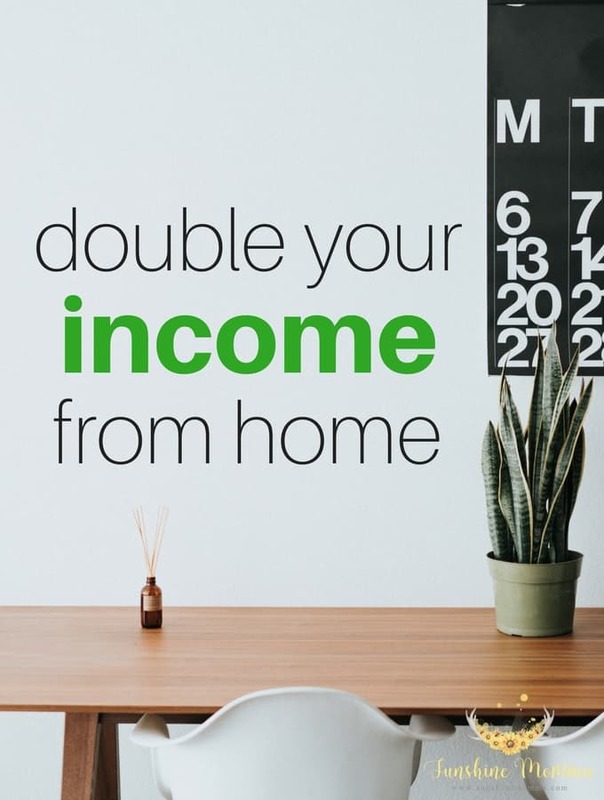 These are all real ways to double your income and make money from home. Some will take more work than others, but they will all bring income into your home! Who doesn’t want a giant list of freebies for new moms? Disclaimer: I have not personally tried all of the freebies for new moms, but still felt like they were worth sharing. 1. For a FREE carseat canopy enter the code “SUNMOM1” at checkout. 2. For a FREE baby sling enter the code “SUNMOM2” at checkout. 3. For a FREE nursing pillow enter the code “SUNMOM3” at checkout. 4. For a FREE nursing cover enter the code “SUNMOM4” at checkout. 5. For a FREE belly button band enter the code “SUNMOM5” at checkout. 6. For 5 FREE pairs of baby leg warmers enter the code “SUNMOM6” at checkout. 7. For 10 FREE pairs of breast pads use code “SUNMOM7” at checkout. 8. For 3 FREE ruffle buns use code “SUNMOM12” at checkout. 9. For 5 FREE baby board books use code “SUNMOM8” at checkout. 10. For a FREE faux fur hat use code “SUNMOM10” at checkout. 11. Sam’s Club sends a baby sample box to any new mom who wants one. Even if you aren’t a Sam’s Club member! 12. If you become a member of Enfamil Family Beginnings you will be signed up to receive formula checks (these will save you a lot of money in the future! ), formula samples, special offers, and more free gifts! 13. Honest Company offers 2 different sample bundles. One of them is the diaper and wipes bundle and the other is the essentials bundle which has bath soaps and other things like that. You can order both or one, but do have to pay the $5.95 shipping fee to receive them. WARNING: Ordering these samples enrolls you into their subscription service so you must cancel it if you do not want your card to be charged again. 14. Imagination Library is a program that sends your child one free book per month until they turn 5 years old! The only catch is that even though they are expanding, the program hasn’t made it to every city and you must check your addresses eligibility first. 15. Early Moments is a book subscription program that will send you your first box of books for free! It comes with 3 Baby Einstein board books, a soft book, and flash cards. You’ll have to pay $5.95 for shipping and be sure to cancel your subscription unless you want to continue. There are also free offers of books for older age groups on this page. 16. Sign up for the Similac Strong Moms program and you’ll receive up to $329 in offers. I think this offer varies by customer, but I have heard of at least everyone either receiving formula samples or formula checks. 17. Join Amazon Family 30-Day Free Trial ! Amazon Family is apart of Amazon Prime and as a member you will receive free 2- day shipping, 20% off diapers, coupons, instant streaming of movies and tv shows (a must for late night feedings in my opinion! ), and ad free music streaming among many other benefits. You have to cancel before the 30 days is over or they will charge your card $99 for a year long Amazon Family membership. 18. Walmart offers a Walmart Baby Box subscription that will send you a box of samples based on your child’s age. There is a box for pregnancy, newborns, and toddlers. The only fee you pay is $5 for shipping. 19. Create an account with Pampers Rewards and redeem points for free toys. Each package of Pampers diapers and wipes has a sticker on the inside with a code to enter online. Each of these codes will give you a certain number of points and they eventually will add up to enough points to redeem for toys! 20. Sign up with Shutterfly and you’ll automatically receive 50 free 4×6 prints, a free magnet, and one free set of address labels. Just upload and select your prints and the discount should be applied at checkout, no code needed! 21. Try a free can of Baby’s Only Organic Formula by only paying the $5.95 shipping fee. 22. Get a free subscription to American Baby magazine, no strings attached! 23. Fill out the form and receive free samples of Babyganics products. I’ve heard they are small and take a while to come in the mail, but it is worth a shot if you’ve been wanting to try their products. 24. Everyday Happy offers two different baby care sample kits that you can order. One of them is a family care kit with body washes and laundry detergent and the second box is a diaper care kit. The only cost for the sample kits is the $5.95 shipping fee. This is a subscription service so be sure you cancel the subscription before you are charged again. 25. Parasol is another diaper subscription company that offers a free trial kit for the cost of $5 shipping. Just be sure to cancel the subscription! Here is a list of stores with baby registry gifts. All you need to do is create a registry and you’ll receive a gift bag of new mom goodies! Do you know of any other free deals for new moms? Let me know on Facebook! College textbooks are ridiculously expensive and if you are like me, your school grants and scholarships barely cover tuition and none of your book costs. An extra 200-300 dollars a semester for textbooks is not in my budget… at all. 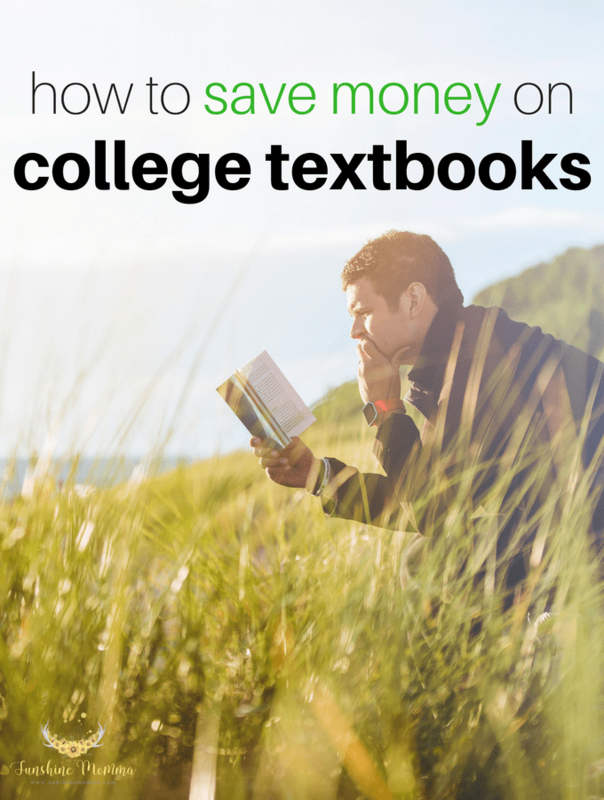 After a few semesters of trial and error I’ve learned how to save money on college textbooks by using these 4 strategies. Each semester recycle your textbook money by selling the pervious years books on sites like Ebay or Craigslist. It probably won’t allow you to pay for your new textbooks in full, but it definitely will give you a leg up and help out another college students looking to save money on textbooks! Used textbooks are significantly cheaper than new textbooks. If you can’t find what you need being sold on Craigslist or Ebay, you can try to find your books on Amazon. Many college towns also have used textbook stores that you can purchase them from. I have used both Chegg and Amazon and have saved hundreds of dollars. I am sure there are other textbook rental sites, but these are the 4 that I know for sure are reliable. Here are two screenshots from previous semesters textbook expenses. I rented 4 textbooks from Amazon and 5 textbooks from Chegg. This is the screenshot from Amazon. I only spent $117.26 on 4 textbooks and got free 2 day shipping through Amazon Student! Want to try out Amazon Student? Get a free 6 month trial here! This is the screenshot from Chegg. I spent $94.61 on FIVE textbooks. SO CHEAP! Find a friend in class that has the same major as you and go halves on textbooks or swap them if they have taken your courses in previous semesters. This will be pretty difficult to do unless you live in the same dorm or at least nearby, but it is worth a shot to save some money! Back to school shopping is not only stressful and time-consuming, but it can leave a huge dent in your pocketbook if you let it. Especially if you have teenagers who only want the brand name shoes and clothing. Often times, after you spend so much money on the required school supplies list there isn’t much left over to splurge on new clothes. If you are looking to be more frugal, like me, then buying school clothes at full price is not the way to go. Thankfully there are other things we can do to make our kids happy and keep our pocketbooks full. Here are 5 ways to save money on school clothes this year. Consignment stores are the only way to shop for clothing if you ask me. Not only can you get gently worn brand name clothes for less, at many stores you can take in your kid’s school clothes from last year and get cash back to spend on this year’s school clothes. Check out places like Plato’s Closet or Once Upon a Child for the best deals. Both of these stores, and most places like them, have certain guidelines on the quality of clothing they buy back. All of it is very gently worn or brand new! Most cities have a “buy, sell, trade” or “garage sale” group on Facebook. Just type your city’s name and one of the previously mentioned group titles and they should pop up (example: “Dallas Buy Sell Trade” or “Dallas Garage Sale”). In these groups you can buy items from people in the surrounding areas. It is not uncommon for me to see clothes posted in my city’s group for very cheap. 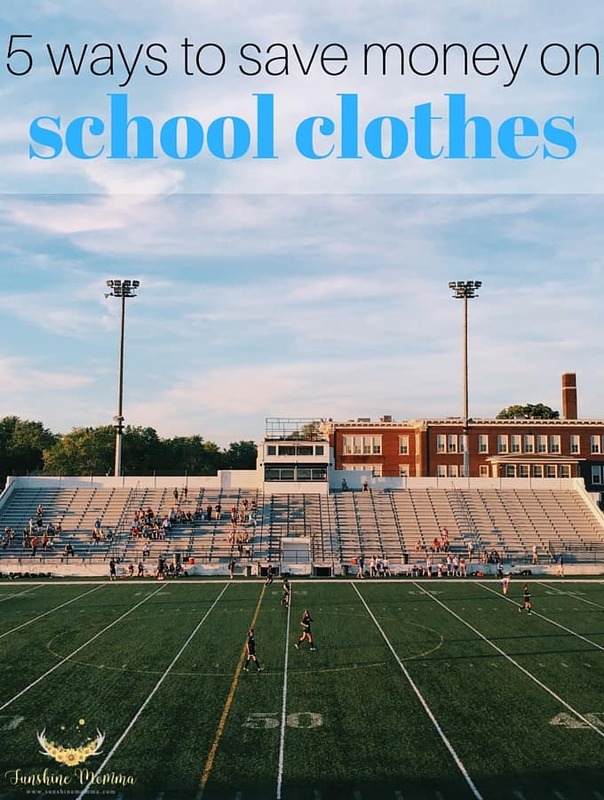 Even if you can’t find school clothes to buy in the group, you can sell last years clothes here to make extra money to purchase this year’s school clothes. There are tons of iPhone apps out there for buying and selling gently used clothing. One of my favorite apps for teen and adult clothing is Poshmark. The app is very reputable and if you have a brand name loving teenager this is a great place to get cheap designer clothing and accessories. Some other apps for buying and selling clothing that I can recommend are threadUP and Totspot. There are many more apps like this, but I know these 3 are great places to look. Craigslist is FULL of listings selling kids clothes in bulk. I’ve seen listings for just trashbags or boxes full of certain sizes clothing. Buying them like this might mean getting a few items you don’t like, but usually they are so cheap that it shouldn’t even matter. Go to craigslist.com, in the for sale section click “baby + kid”, and then search “clothing” in the search bar. This should bring up a good amount of listings. Ebay also has quite a bit of kids clothing, but they seem to be a bit pricier than what you can find on Craigslist. Aside from consignment stores, overstock stores such as TJ Maxx and Ross are my favorites places to shop. If your kids are insistent on having brand new clothes for the school year this is where you need to shop. You can find a lot of name brand clothing, shoes, and accessories for over half off. This is where I shop for almost all of my clothing. You can also check out places like Nordstrom Rack for high-end items for less. Get 30 days free of Royale photo editing on PicMonkey! This is the site I use to edit all of our photos. It’s awesome! Shutterfly is a great website for uploading and organizing your pictures. I use the iPhone app to upload unlimited amounts of pictures from my phone in case it ever crashes. This website has awesome features, I could go on and on about it. They have awesome custom photobooks (I do a yearly family photobook) and when you sign up they constantly are sending you coupons for free prints. Sign up today and receive 50 free prints! After I had my daughter and became a stay at home mom I realized that we needed to buckle down and save more money, so we started collecting our change, cutting back on things, and spending more time at home. These 5 money saving apps are all for grocery shopping (some retail stores too) and will give you cash rebates for the things you already buy on a weekly basis! At first, I didn’t think we’d get much back but they have really started to add up and every little bit counts when you are trying to save, right? 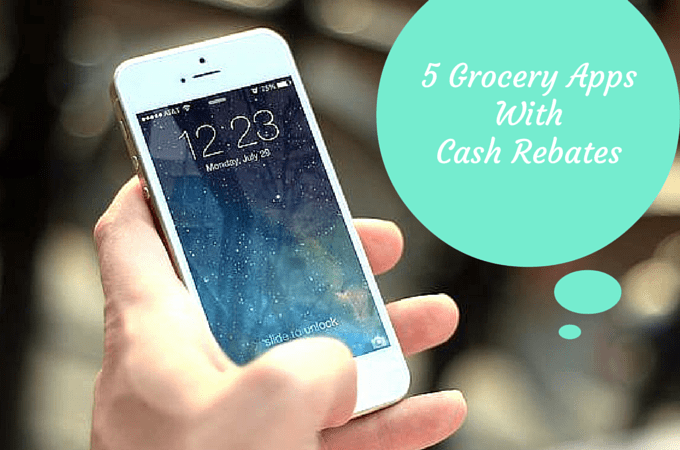 So here are the grocery apps with cash rebates that I use! 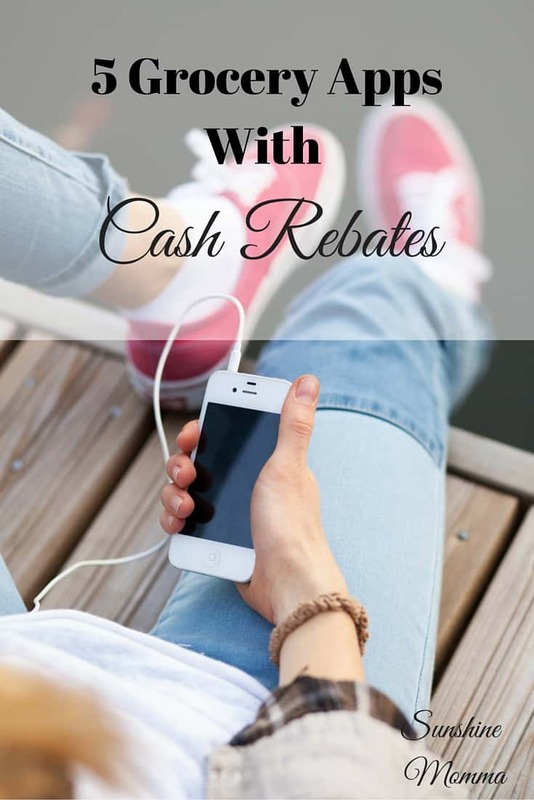 With Ibotta, there are several ways to grab rebates on your purchases. You must either watch a short video or answer a poll before the rebate is unlocked, easy peasy! Shop Online: After you make an account with Ibotta, choose “shop now” and make purchases from your favorite retailers to get cash back! Submit A Receipt: Go shopping at your favorite stores and submit the receipt by taking a picture, then your rebates are on their way! It has to be a store they support, but they have a WIDE variety. I have yet to try for a store and not found it. Link A Loyalty Account: Link your loyalty card, unlock the rebates, and go shopping! That’s it!!! Once you reach $10.00, request your rebate check, or gift card. Join with me and receive bonus team rebates every month! Each week Checkout 51 offers about 20-30 rebates on grocery items. My first time using it I recieved a $5.00 rebate! This week they offer $29.00 in rebates! All you do is go shopping, then upload your receipt to the app. The best part is, they accept receipts from ANYWHERE! Tip: With most of these apps I check to see what they’re offering in rebates before I go to the store to make sure I purchase the right items. Some are brand specific and some aren’t. Reach $20.00 and request your rebate check! Snap is a grocery rebate app created by Groupon, so you know it has to be great. This week they’re offering 40 different rebates! Snap is also very user friendly. Check the rebate items every week, go buy them at ANY store, snap a picture of your receipt, and receive the quoted rebate! Reach $20.00 and request a check! Join here! Savings Star offers around 20-30 rebates, one healthy offer, and one FREEBIE! First check to see if your grocery store is a participant, then check out their offers, shop, and submit a picture of your receipt! This app is great, the only negative for me is that a few of the offers require you to buy multiples in order to be eligible for the rebate. Request your rebate at only $5.00! This one is my personal favorite because there are no specific rebates to shop for. Shop at Walmart, then come home and scan your receipt into the Savings Catcher app or type in the TC code on your receipt. Walmart then compares their prices with the sales ads from stores in your area. If one of these stores offers a lower price, Walmart sends you the difference! This is price matching made easy! The best thing about it is that you can use your coupons and Walmart still uses the original price to compare, so you could potentially MAKE MONEY! Redeem your rebates onto a Walmart gift card anytime!